Stan Maupin is a serial entrepreneur with more than 35 years of experience founding, managing and providing high impact financial and strategic consulting to individuals, early stage businesses and organizations. Two of the companies founded by Stan and his colleagues grew to more than $50 million nin annual sales in less than 3 years. Following eight years as a “Big Five” consultant, Stan was a founder of Office America, a retail concept that grew to sales of more than $70 million. 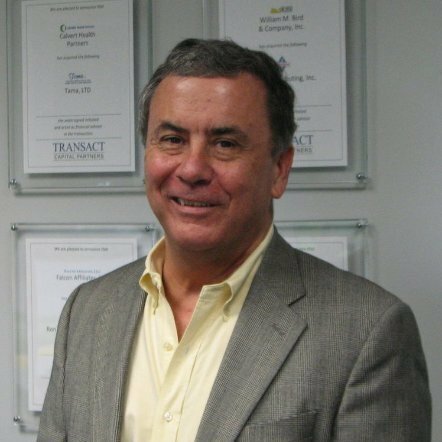 For more than 25 years, Stan has been working as a consultant, founder, investment banker and venture capitalist for companies and entrepreneurs that are involved or planning major transactions and transitions His clients have included many successful technology companies including the first US company to clone a mammal and Richmond’s first publicly traded biotechnology company. Stan has been an active leader in many non-profit civic and business advocacy organizations in Virginia. He is a co-founder and Board member of both the Greater Richmond Technology Council (RichTech) and the Richmond Venture Forum. He was also a founder and first Chairman of the Virginia Technology Alliance, the group formed to coordinate the activities of Virginia’s 10 regional technology councils. Along with leaders such as Governor George Allen, Gary LeClair and former VCU president Gene Trani, Stan has been awarded the annual Leadership Award by RichTech, He was also named one of the Richmond Area’s Top 25 Entrepreneurs of the Last 25 Years by the Venture Forum and was recently named to the Albemarle High School’s Alumni Hall of Fame. Stan has also been very active in Virginia politics, serving as treasurer or senior adviser to more than a dozen campaigns for the US Congress and Seante and Governor of Virginia. Most recently, he served as Deputy Director of Virginians for Warner, an organization formed to attract Republican and Independent voters to current US Senator Mark Warner’s successful campaign for Governor of the state. He has served on a number of boards and advisory panels in state and local government and assisted the transition teams of both the Gilmore and Warner administrations. Stan is an accomplished writer, having served as the Executive Publisher of Richmond Ventures and Technology Virginia magazines. He also edited and published 10,000 Memories, a 250 page compilation of more than 600 memories submitted by the former students of a Charlottesville educator in celebration of his influence on more than 10,000 graduates.